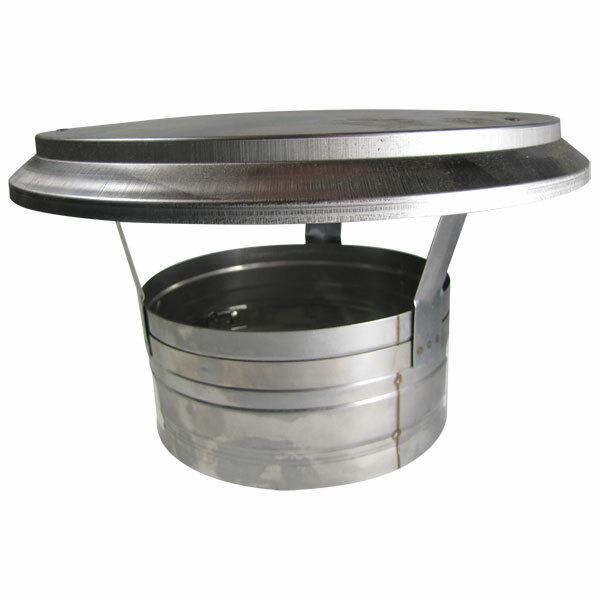 This versatile top termination chimney rain cap is designed with a clamp band for a four inch chimney liner. This cap will ensure the efficiency and the safety of venting heating appliances. It will protect a masonry chimney for the harm that can be caused by rain and condensation. There are models that can be used with pellet burning, wood burning, non-condensing gas, coal and oil appliances. There is even a titanium cap for harsher conditions.